a welcome change. The taste is distinctive, floral and sweet and slightly salty. It’s almost a stronger smell than taste, so it was lovely having the whole teachers staff room be perfumed with a beautiful reminder of spring and the momentous occasion of the graduation ceremony. After all, memories are often connected with taste and scent, and Sakura will always be inextricably linked with graduation and the transition to Spring. This entry was posted in Food!, Modern Traditions, School Life and tagged Cherry Blossoms, foos, Graduation, Japan, pink, Sakura, spring, sweet, wagashi. Bookmark the permalink. 4 Responses to Sakura mochi! I have not tried it but after reading this description I’m desperate to find some! 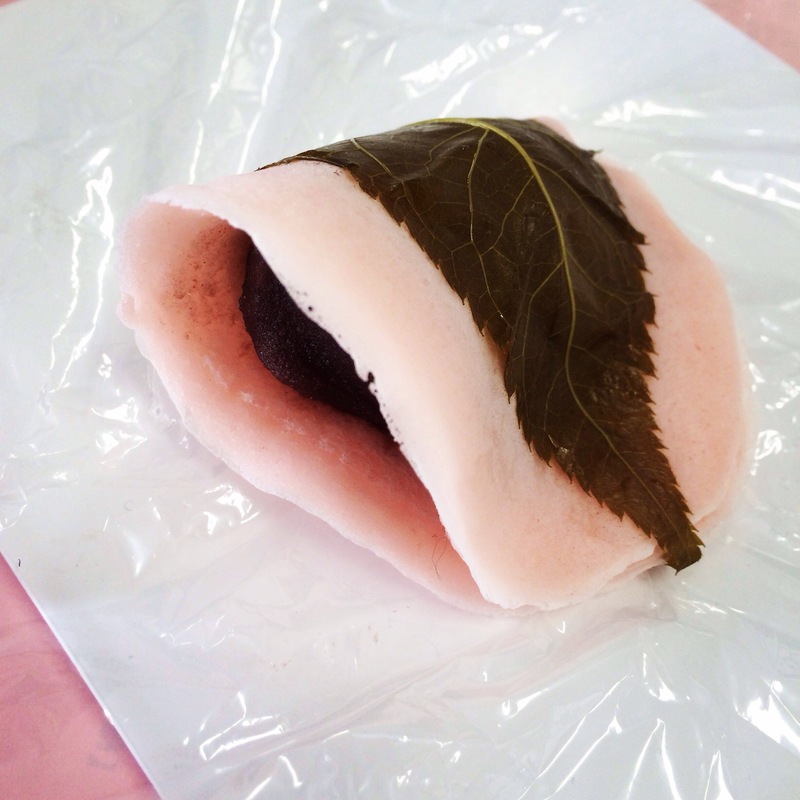 Oh sakura mochi – I miss you! I love it so! Can you find it in London? Yes! We have a Japanese okashi shop – Minamoto Kitchoan – shop here. I am addicted! !